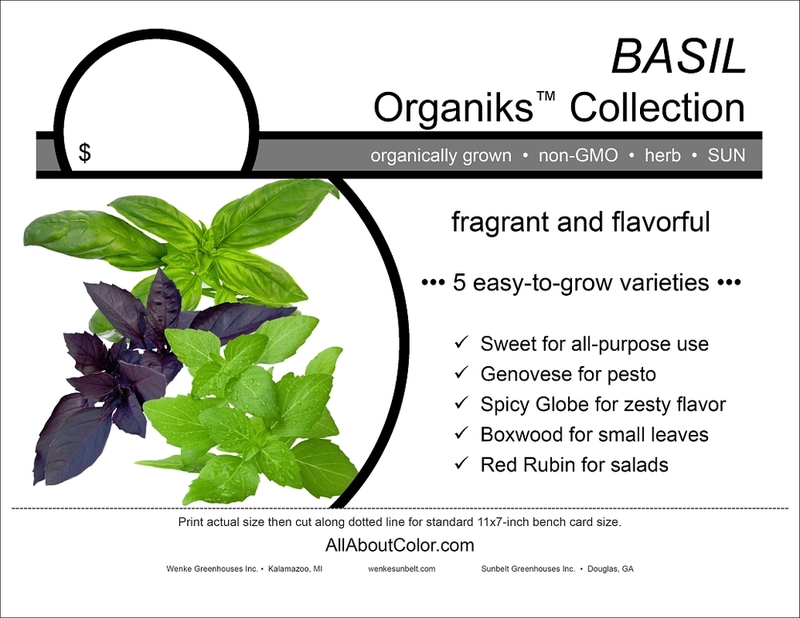 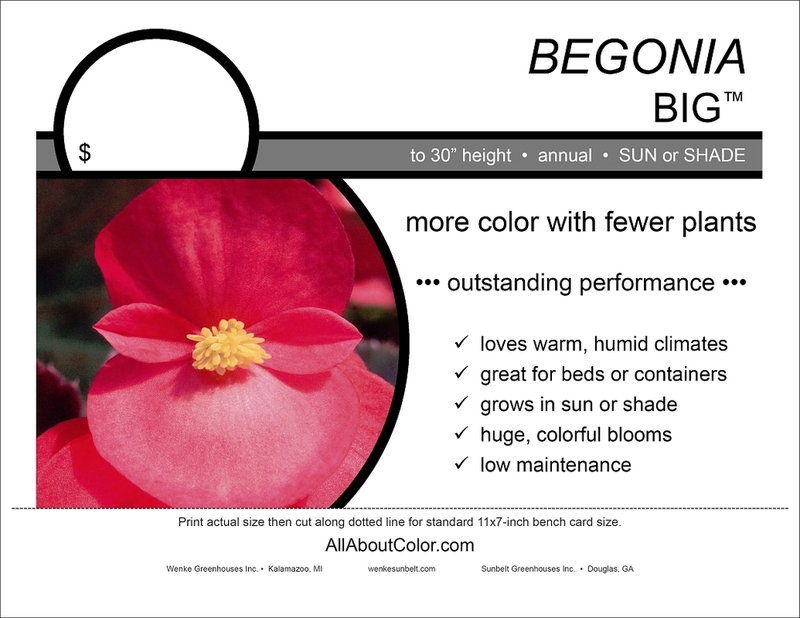 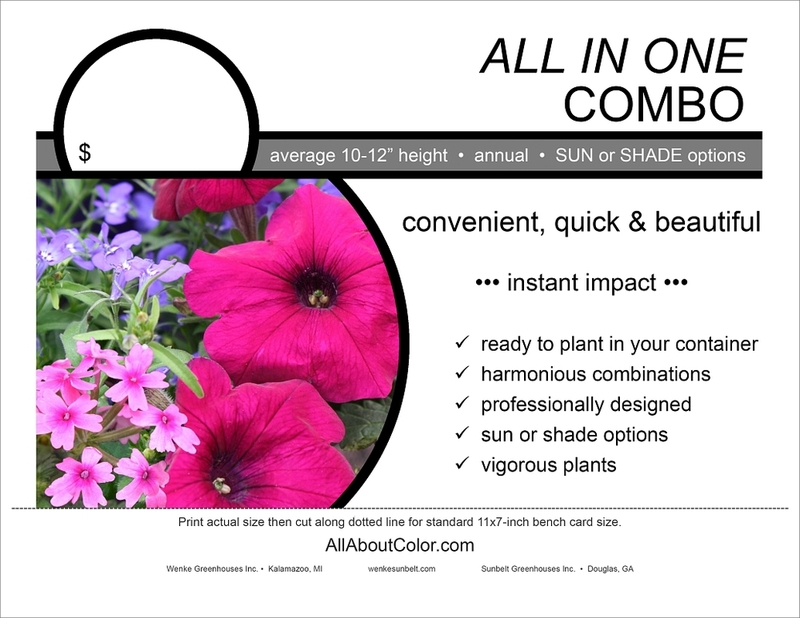 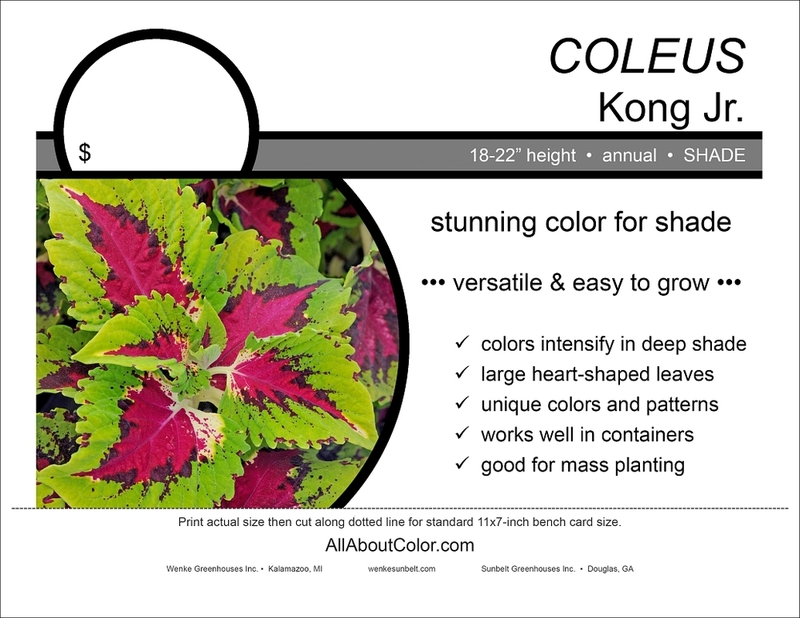 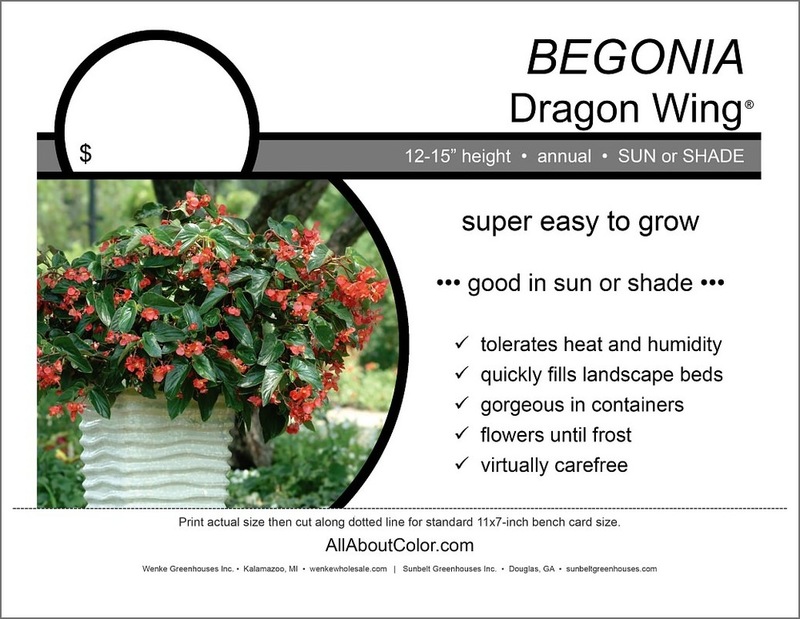 Click each End Cap Plant bench card to view a larger image. 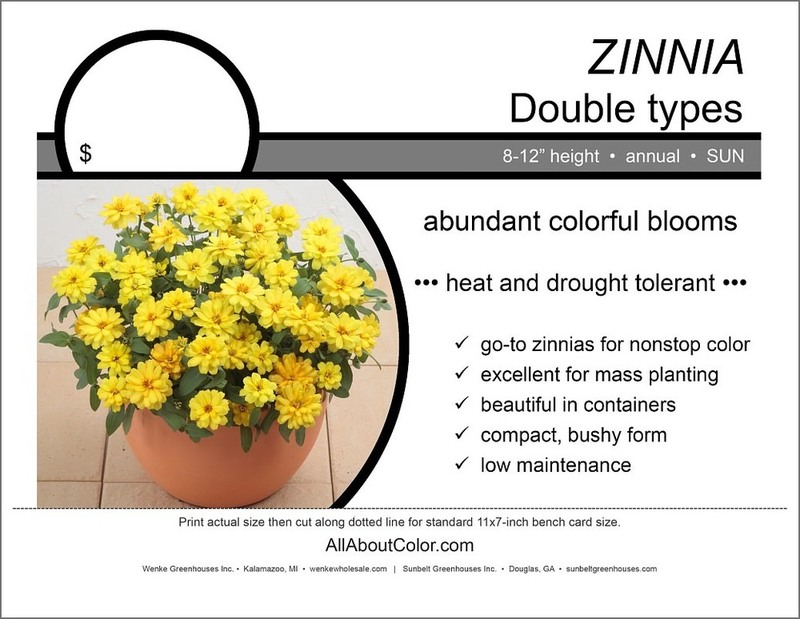 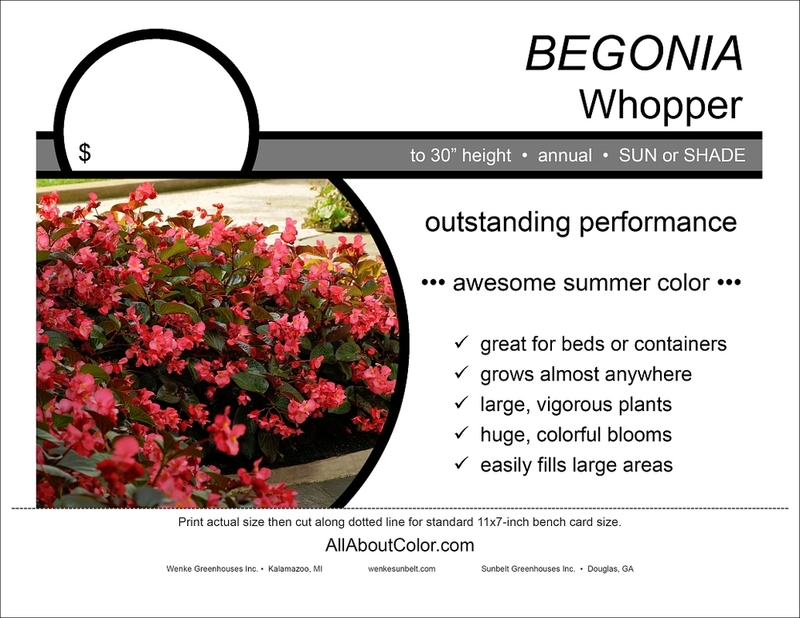 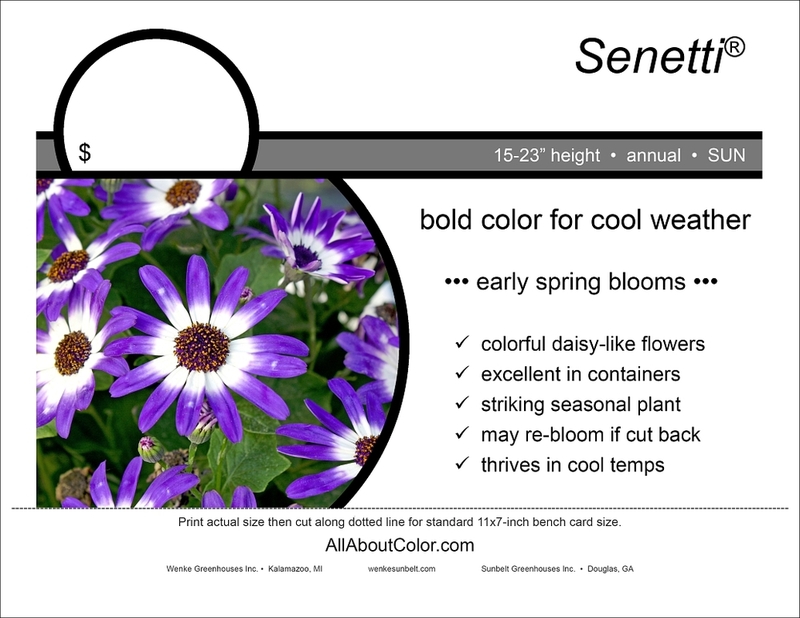 Due to differences in varieties or programs, some bench cards are Wenke or Sunbelt specific. To download a printable bench card, click the PDF link under each image. 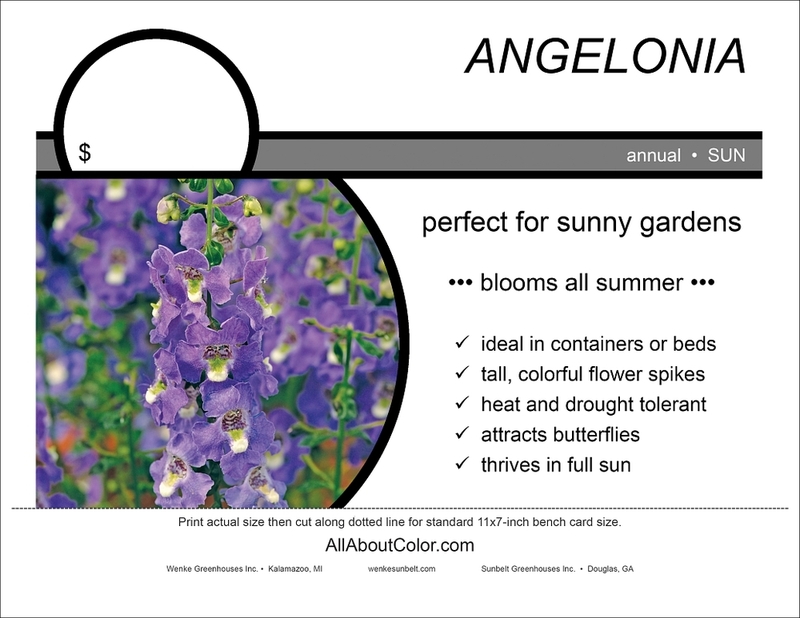 We recommend GrowTech Solutions as a supplier for horticulture-friendly printers and substrates.